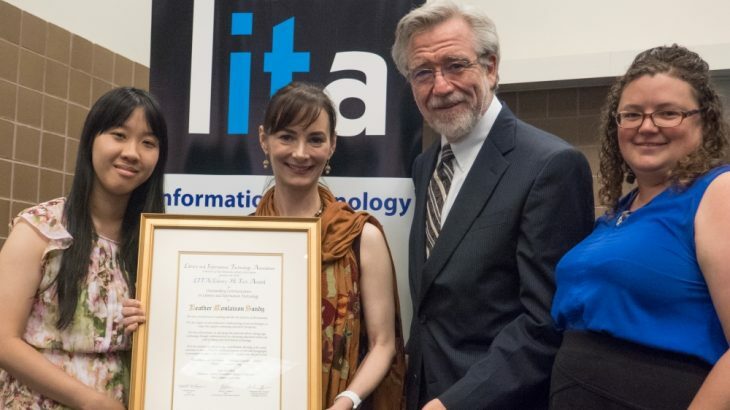 Nominations are open for the 2019 LITA/Library Hi Tech Award, which is given each year to an individual or institution for outstanding achievement in educating the profession about cutting edge technology within the field of library and information technology. Sponsored by LITA and Library Hi Tech, the award includes a citation of merit and a $1,000 stipend provided by Emerald Publishing, publishers of Library Hi Tech. The deadline for nominations is December 31, 2018. The award, given to either a living individual or an institution, may recognize a single seminal work or a body of work created during or continuing into the five years immediately preceding the award year. The body of work need not be limited to published texts but can include course plans or actual courses and/or non-print publications such as visual media. Awards are intended to recognize living persons rather than to honor the deceased; therefore, awards are not made posthumously. Nominations must include the name(s) of the recipient(s), basis for nomination, and references to the body of work. More information and a list of previous winners can be found on the LITA website. Awards and Scholarships Library Hi-Tech. permalink.